August 12, 1945 - November 10, 2017 ~ Doug Macy passed away Nov. 10, in Portland. Born August 12, 1945, in Caldwell, Idaho, to Jay and Jeanette Macy, and went West with family, to Central Oregon when the water came to the farmlands. He died peacefully on November 10, 2017, in his home in Portland, Oregon. Doug grew up in Madras, and graduated Madras Union High School, studied Landscape Architecture at Oregon State University and earned a degree at University of Oregon, School of Architecture and Allied Arts in Landscape Design. 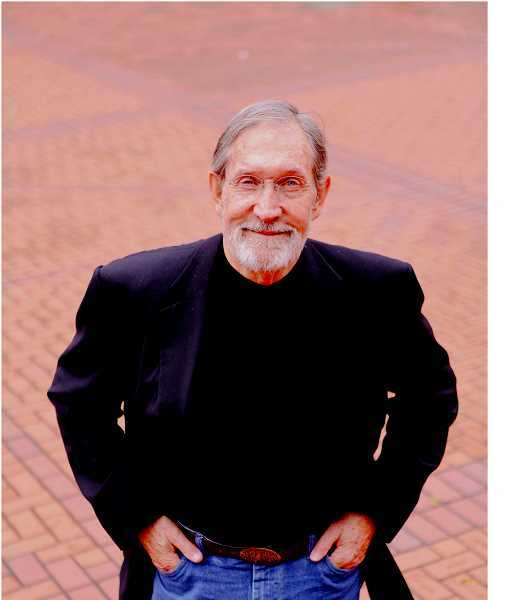 He was a founding member of the urban design firm, Walker Macy, LLC, Portland, Oregon. Doug shared his time and interest with community organizations: Portland Japanese Garden Trustee, Northwest College of Art, Northern Arizona University, College of Arts and Letters Advisory Council, Pioneer Courthouse Square Board of Directors Life Member, and the Opal Creek Ancient Forest Center Board. His work reflected his love for the outdoors and is represented by the Oregon Vietnam Veterans Memorial, Willamette National Cemetery, Pioneer Courthouse Square, Oregon Coast Aquarium, Columbia Gorge Discovery Center, Opal Creek Ancient Forest Center, Portland State University Urban Center Plaza, Black Butte Ranch, Sunriver Master Plan, High Desert Museum, July Grounds and Nix Ya Wii Warriors Memorial, and the Confederated Tribes of the Umatilla Indian Reservation. Doug Macy expressed his love for Portland, and the Northwest by working to preserve its parks, open space, and its buildings so we can stretch our arms to the sky and know where history lives. He is survived by siblings, Marilyn Macy Brown, of Camas, Washington, Gregg Macy, of Vancouver, and Rebecca Macy, of Portland; nephews and nieces, Michael Brown, Tracey Brown, Alison (Don) Lovell, Trevor (Paige) Macy, Darbi (Larry Delfiner) Macy, Caitlin Macy, David (Barbara) Reynolds and families. Preceded in death by son, Aaron Macy; and parents, Jay and Jeanette Macy of Madras. A celebration of life will be held in Portland in December. Donation in honor of Doug may be made to Aaron M. Macy Memorial Scholarship Fund, Northern Arizona University or Opal Creek Ancient Forest Environmental Center.